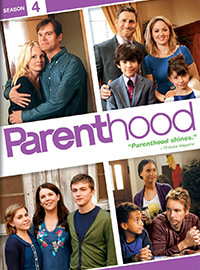 Family dynamics are shifting for all three generations of The Braverman clan in the critically acclaimed fourth season of Parenthood. Everything changes for Adam and Kristina as they receive shocking news, while Sarah contemplates how her priorities affect her future. As Julia and Joel adjust to life with their adopted son, Crosby and Jasmine settle into their roles as husband and wife. Featuring guest stars Ray Romano (Everybody Loves Raymond) and Jason Ritter (The Event), watch all 15 smart, funny and heartwarming episodes about life’s unexpected hurdles and those who help us conquer them: family.